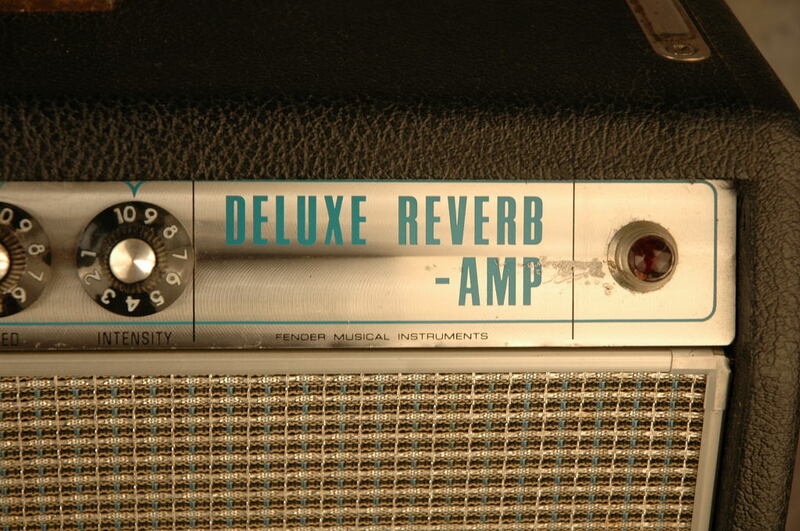 1968 Deluxe Reverb Amp. 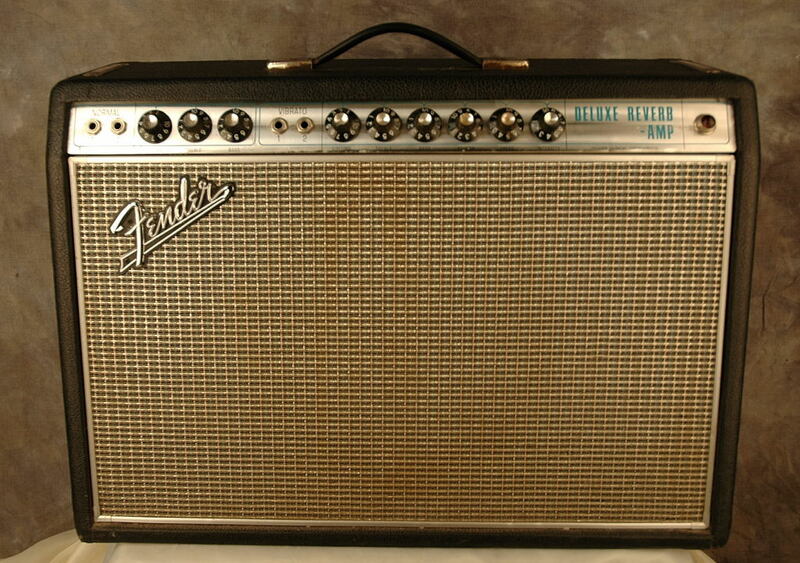 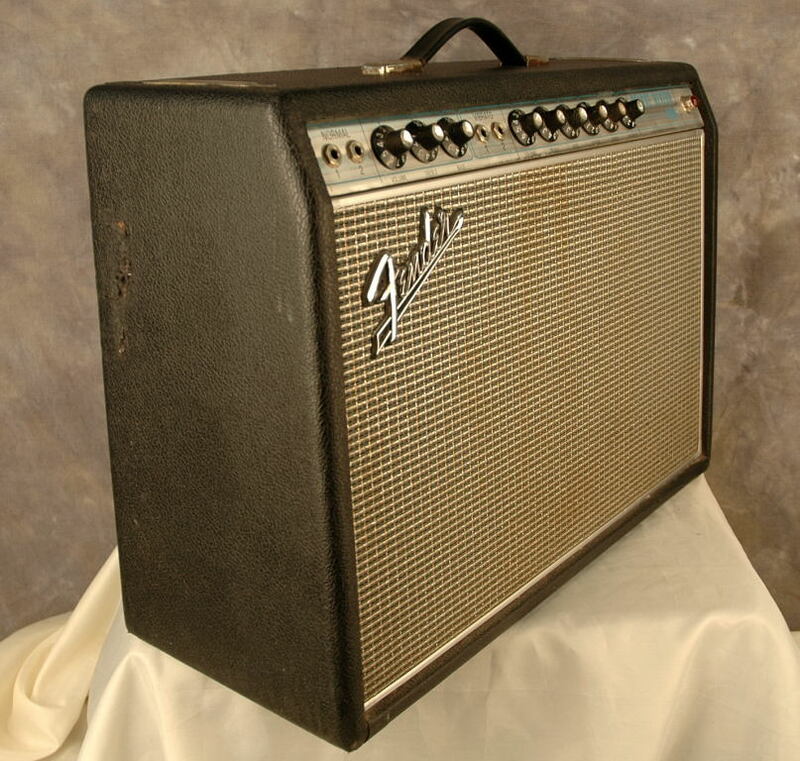 This early silverface amp differs from its blackface predecessors in several cosmetic respects, including a silver front panel with blue lettering, a grille cloth with a blue stripe woven into the fabric and an aluminum trim that goes around the speaker grille cloth edges. 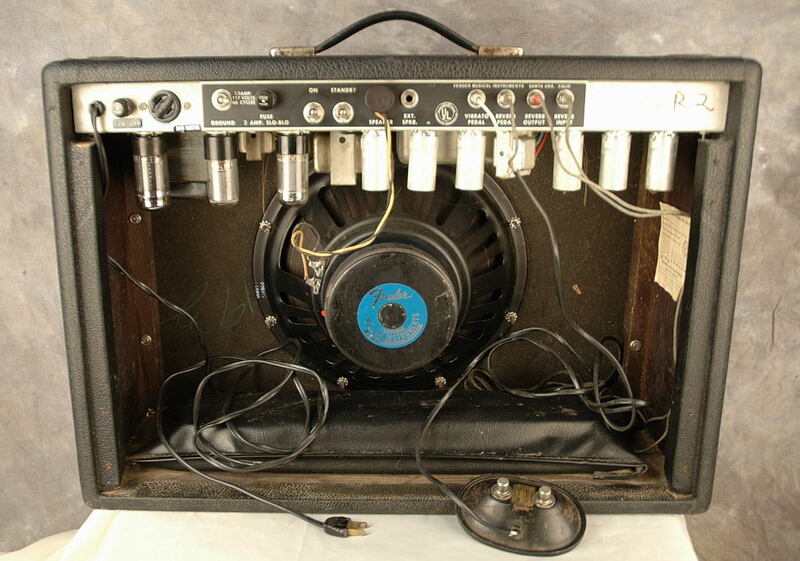 This feature is also referred to as a “drip edge,” which would be eventually phased out in 1969. 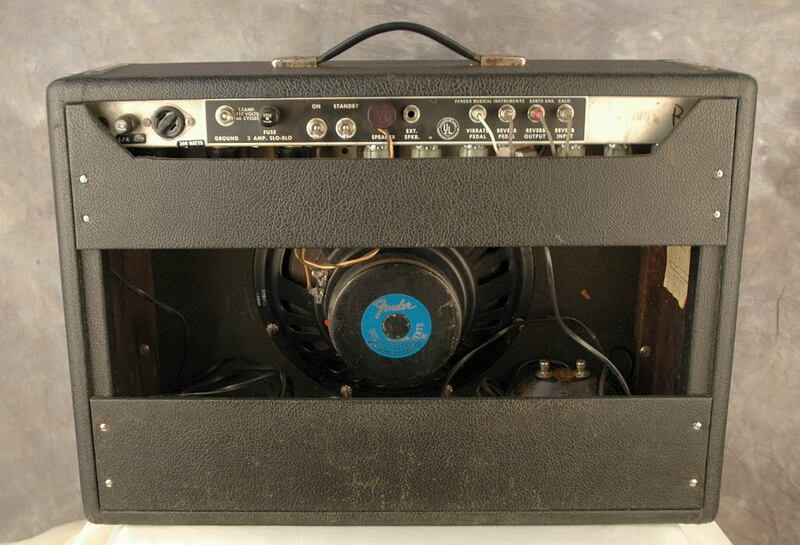 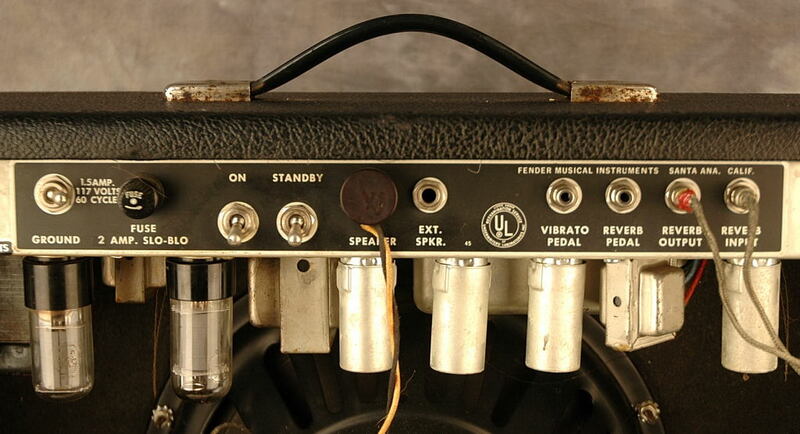 This particular amp has many of the pre-CBS blackface electronic features which would soon vanish as Fender amps would undergo a radical transformation in the 1970s.